Incorporated in 1999, Veo Springs Inc is a privately owned company that specializes in the extraction, filtration and bottling of natural spring water. For over 3 years, Veo has intensified its research to find a high volume, high quality spring. Hydrological and geological studies have led to a spring site in the Laurentians, along the Rouge River in Grenville-sur-la-Rouge where Veo has acquired over 600 acres of land. 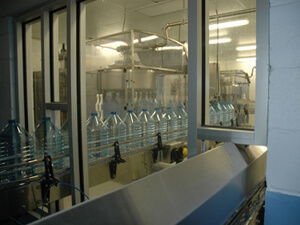 In 2003 Veo obtained all of its permits for water extraction from its well and started the construction or the bottling facilities in the fall of 2004. Since the start of its operation, Veo has adopted a vertical integration which led to three separate operations in one plant, (water extraction, PET transformation, bottling process) thus enabling a better control over quality and cost. 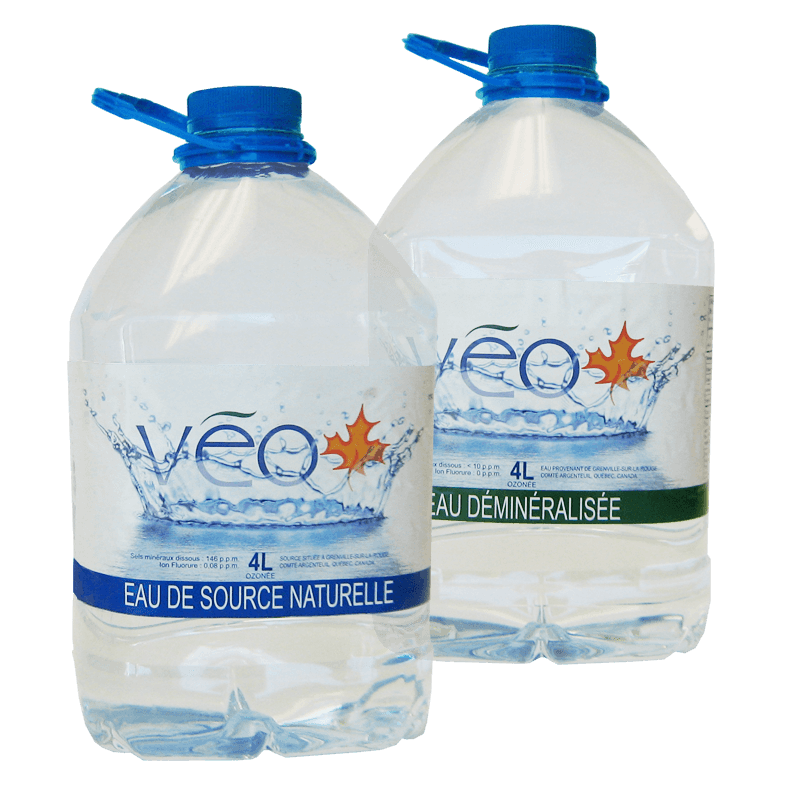 Today, Veo bottles water under its own brand name, and as a co-manufacturing for other companies. 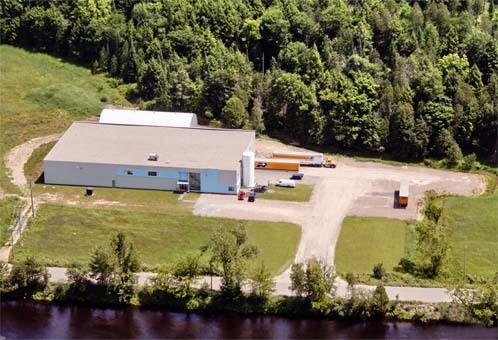 Our newly built plant is located at less than 500 metres from our spring. Our water is channeled through a pipeline, thus eliminating any risk of contamination that could occur during transportation. One of the characterizing factor of our plant is its high yield capacity. We can also demineralize water using a reverse osmosis process. By making our own pre-forms, caps and handles, we are able to offer a wide selection of bottle colours. 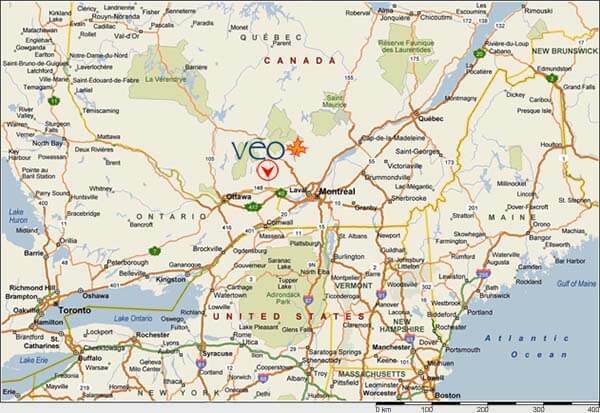 Veo Springs is ideally located in Grenville-sur-la-Rouge, halfway between Montreal and Ottawa in the Laurentian Mountains. This makes transportation to these two major locations easy. Being in an undeveloped natural environment, free from all urban pollution, our site is exceptionally rich in superior quality spring water. It was these major factors that convinced us to build our plant along the beautiful Rouge river in Grenville-sur-la-Rouge. At Veo Springs, we bottle under our own name for our retail customers. Our product offerings include natural spring water and demineralized water in 4 liter sizes. Veo Springs also bottles an upscale range of products under the brand name "Montebello". This product is supplied to hotels, restaurants and catering services. Furthermore, we are proud to announce that all our products received the "Aliments du Quebec" endorsement in addition to Kosher certification. In addition to our own brands, we provide co-manufacturing services for national and distributors brands. We can bottle natural spring, demineralized and distilled waters. Thanks to our vertical integration, we can offer our customers a wide variety of choices, including bottle size and colour, handle and closure colour and packaging type. All of these components can be purchased separately upon special request. If you are interested, feel free to contact us. At Veo Springs, we know that consumers expect bottled water to be of the highest quality. Not all bottled water is created equal. In recent months, the media has put pressure on other bottled water companies, questioning the quality of their bottled water. That is why we, at Veo Springs, are proud of our product which originates from Natural Spring sources. We take all steps necessary to ensure that every bottle contains the clear and pristine water that consumers expect. Our products are continuously tested for various microbiological, physical and chemical properties in our on-site and accredited external laboratories. Veo Springs testing regimen greatly exceeds federal and provincial government standards. 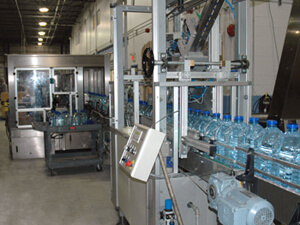 Our Good Manufacturing Practices (GMP) Program, Quality Program and HACCP Programs (Hazard Analysis of Critical Control Points) are audited by third party organizations such as the Canadian Bottled Water Association(CBWA), an organization dedicated to ensuring the Quality and Safety of Bottled Water. Our active membership in the CBWA shows Veo Springs commitment to continually delivering only the highest Quality products to our satisfied consumers enabling a repeat purchase. Veo Springs understands that every manufactured product creates some sort of environmental pollutant. That is why we at Veo Springs are an environmentally conscious privately owned company that takes every step necessary to produce responsibly. After all, our greatest resource, water, comes from the environment. We have recently taken steps to reduce our impact on the environment by integrating our whole process vertically. We bottle directly from the spring site in the Laurentian mountains, therefore eliminating the use of tanker trucks to deliver water. The amount of CO2 (Carbon Dioxide) released in the atmosphere is therefore significantly reduced. This also reduces the risks of contaminating the water during transport. Veo Springs also produces bottles on site from PET pellets, meaning that not only can we control how they are made, we can further reduce the amount of carbon dioxide pollution created by transportation. Veo Springs has calculated that these steps have eliminated up to 98% of the total carbon dioxide emissions. These were definitely changes worth making. Our bottles are manufactured from PET, one of the easiest plastics to recycle. Plastic bottles do not need to go into the landfill. We all need to work together to place PET plastic products in our recycling bins. The effort is worth it to help protect the environment for EVERYONE’s future. 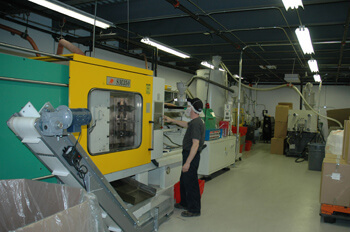 At Veo Springs we recycle our waste plastic so that it is re-usable in other applications. Even though Veo Springs has taken several steps to reduce our impact on the environment, we feel it is not enough. We have committed to researching the possible uses of recycled and biodegradable plastics. Veo Springs would also like to continue to reduce our carbon footprint. All of this is necessary to protect our planet, making sure that everyone will always have access to potable water. Although being situated at our spring site is good for the environment, being situated in an isolated rural community is not always easy. That is why we have taken steps to help improve the lives of the people who are part of our community. Rural communities like ours are not known for having a lot of employment opportunities. The employment opportunities offered at Veo Springs are welcomed in our community, where the unemployment rate is quite high. We support youth sports in our area with fund-raising activities. We have also sponsored many local events and festivals. Veo Springs is willing to offer plant tours to schools, allowing students a deeper comprehension of manufacturing and plastic molding technology. We are always looking to find dynamic new employees for our expanding business. If you think you have what it takes to be part of our team, feel free to contact us. Click to see our current job offers! It is always a pleasure to talk to our customers!